PHOENIX, NY – Margaret Lydia Gravelle lost her battle with brain cancer on Friday November 9, 2012. She had been under hospice care for several weeks. Her husband and her mother were at Margaret’s bedside at the time of her passing. Margaret was born on January 8, 1984 to Jim and Sue Gravelle of Fulton. She was preceded in death by her grandparents, Andrew and Harriet Bassett, and Francis and Esther Gravelle. in-laws, Gary and Earlene Winkelman of Middleton, ID; a brother-in-law, Jesse Winkelman (Susan) of Sacramento, Calif.
Additional survivors include aunts, uncles, cousins, and many friends. The love of Margaret’s life was her husband. She and Wes were married on September 1, 2007, in Raleigh, NC. Wes was a constant source of strength, support, and unconditional love during Margaret’s illness. 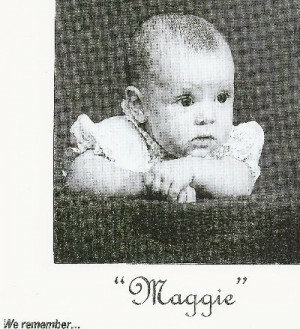 Margaret was a graduate of Phoenix Central Schools. Her college career included earning a BS degree in psychology from the State University College at Oneonta, and a MSW degree in social work from the University of North Carolina at Charlotte. She had begun her PhD studies in educational psychology at the University of North Carolina at Chapel Hill. Margaret had always been an excellent student. Oneonta because she would pass at an early age, and time was of the essence. She enjoyed travel, be it a long drive in her VW Jetta, making up her itinerary along the way, or following a more specific schedule. With her parents, Margaret visited many states, including Alaska and Hawaii. There were also vacations in the Bahamas and Ireland. Following her marriage, she and Wes traveled to Germany, the Netherlands, Ireland and England. In her luggage were her chemo medications. She allowed virtually nothing to slow her pace. Her life span was destined to be 28 years, 10 months, 9 days. Most were the usual with an occasional sprinkling of the unusual. She and Wes shared an interest in cooking. They came to Fulton to prepare Thanksgiving dinner in 2011. It makes one wonder why Margaret inquired of the whereabouts of a multipurpose cleaner, and the front door was propped open. It recently came to light that a grease fire had been narrowly averted. During that same visit, Margaret admitted to being a giant nerd. She enjoyed watching documentaries, the longer the better. Not for a single moment did Margaret want anyone’s sympathy. She was never Margaret-who-had-cancer. She was always just Margaret. May she rest in peace until we meet again. There will be a celebration of Margaret’s life at the Riverside Inn, 930 S. First St., Fulton, at noon on December 8 for family and friends. Donations in Margaret’s memory may be made to: Doctors Without Borders; Above and Beyond English Setter Rescue at esrescue.org; Activate Good; WUNC. Local arrangements by Allanson-Glanville-Tappan Funeral Home, Phoenix, NY. Burial will take place in Jacksonville Cemetery, Lysander at another time.